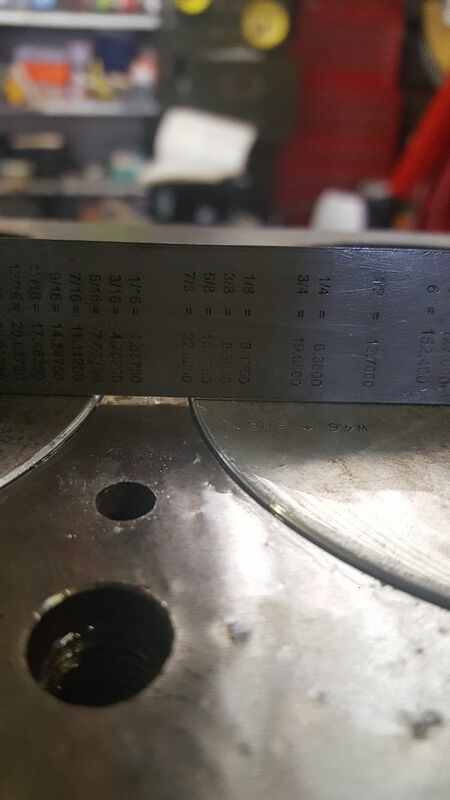 Just starting to rebuild a Sprint engine and have come across a surprise, the pistons are above the block face at TDC by about 0.025". The block needed a liner because one bore had some water damage after the engine was left on the garage floor so the machine shop had to skim the block face afterwards. Question is, have they taken too much off and will I have to get them to take a bit off the top of the pistons as well? The cam is supposed to be Newman PH3 but it has no markings at all. I do have a "thicker" Payen gasket but will that be enough to avoid excessive compression ratio. 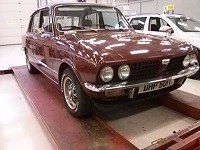 I posted this on the Official Triumph Dolomte FB page as well. Discussed with the machine shop today and we decided to machine the top of the pistons to bring them dowm level with the block face. Two will need 0.025" and two need 0.027" taking off. Will you not have to deepen the valve cut outs by a corresponding amount too? Especially as you (allegedly) have a hot cam! Will not that bring the top land above the rings too close to the top? Having seen what can happen to lands from using lead free fuel and detonation, I'd not want to reduce the 'meat' there, particularly if using a hotter cam and altered timing. 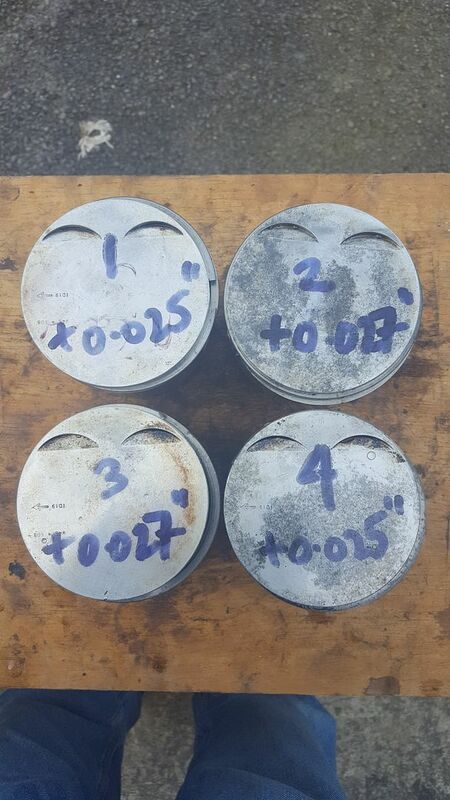 We only plan to take 0.025" off the pistons so I think the top land should still be OK.
Last edited by dursley92 on Tue Apr 02, 2019 1:40 pm, edited 1 time in total. Yes I will get them to do that as part of the job. ps Steve, its the engine that came out of the Red Sprint you had from Mark Maynard to break about 4/5 years ago. Glad to see it's getting built again, but dream on! I got that car from Mark in February 2012, more than 7 years ago! It's soul still lives on in my garage with the Dolomega project which is still under way, completion projected by June 2020! Can you not source another block? Yes I have another couple. 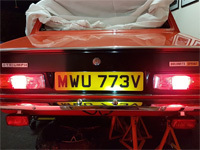 One needs dipping to clean all the crud out of the waterways, one needs a plug getting out from the water pump position because it had an EWP and my old TR7 one that needs boring. I just planned to use this one so I will see how it works out before going for Plan B, C or D! This is a similar solution to grinding valve stems to get the right valve clearances rather than sort the seats out i.e. a bit of a bodge. I'd source another block. On the issue of replacement blocks, has anybody replaced the TR7 dipstick insert with one from a Sprint (I don't know if the 1850 is like the Sprint or not). As far I understand, apart from early Sprint blocks being a slightly different composition of the cast iron alloy, the blocks are otherwise the same.